A little bit south of Fresno just to the west of Highway 41 is the Quik Stop Mini Mart complete with gas station. And for some reason, there's a WWII era plane crashed nose down on top of the island for the gas pumps. The street it is on use to long ago be the old Highway 41 and the gas station use to be known as AirGas back in the 1950s, which sounds like a more fitting name. 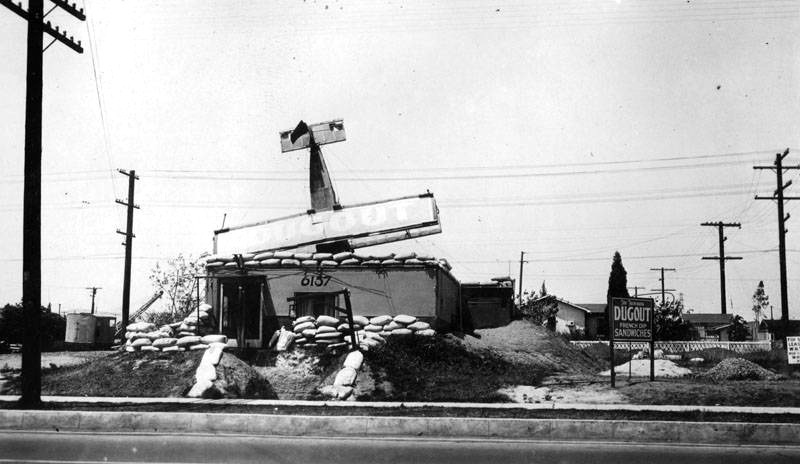 It was a Beacon gas station in the 1970s and now is called Quik Stop Mini Mart. 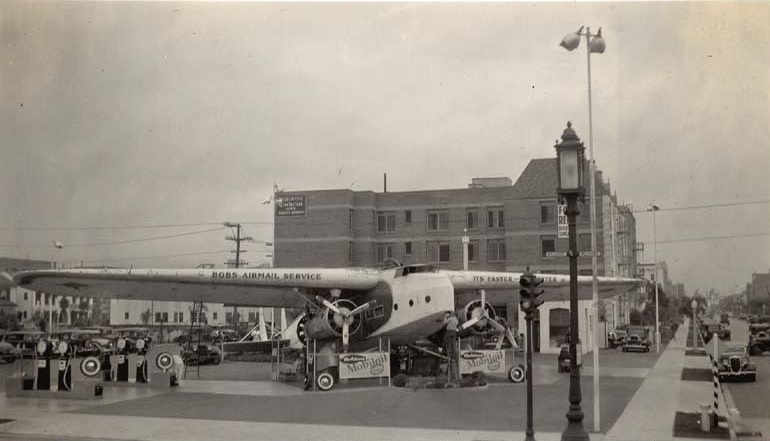 This isn't the first establishment in California with a plane crashed on top of it. 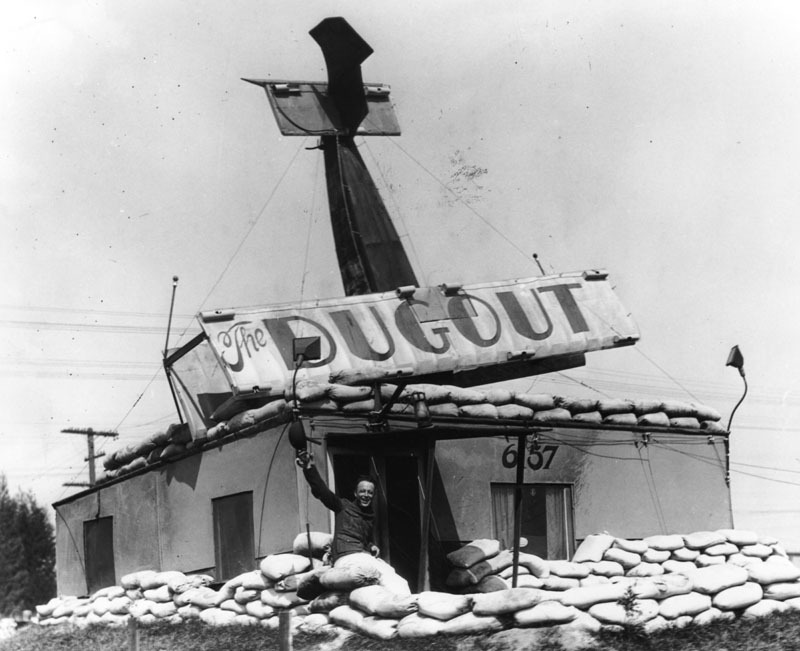 Back in the 1930s Los Angeles played host to The Dugout which was a sandwich shop that had a plane crashed on its roof. It was additionally surrounded by sandbags. 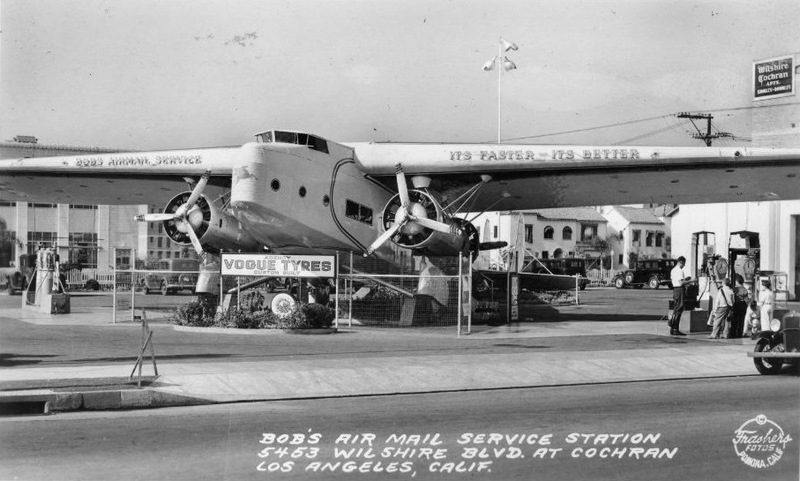 It was located at 6157 E. Whittier Boulevard and was an example of many of the pieces of Programmatic Architecture in Los Angeles. 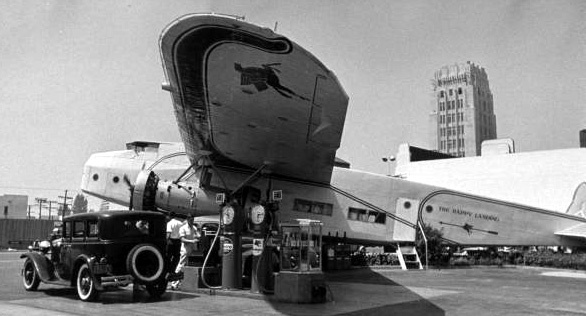 Los Angeles back in the thirties also had its own plane themed gas station in the form of Bob's Air Mail Service Station located at 5453 Wilshire Boulevard. 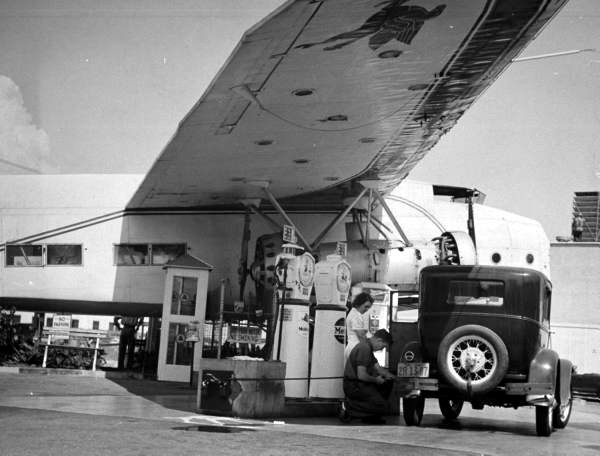 In 1934 Bob Spencer acquired a Fokker F-32 and built a gas station around the plane, complete with cars refueling under the 99' wingspan of the plane. The plane was renamed The Happy Landing and the business was apparently a big success.